Yok is the final novel of the pseudonymous Swedish Davys’ “Mollison Town quartet”. The first three, Amberville, Lanceheim, and Tourquai, were reviewed here in January 2012. Each is set in one of Mollison Town’s four districts. The quartet is unique among adult anthropomorphic fiction in featuring living plush animals, not the standard humanized “real” animals. Davys has established a complex history and biology for them (see the previous review for details). Yok is the seediest of Mollison Town’s four districts. But it is home to Fox Antonio Ortega, a high-school running star and spiffy dresser. “Ortega the fox was as poor as everyone else in the neighborhood, but he had plenty of clothes.” (p. 4) He has fallen in love with Beatrice Cockatoo, the daughter of “the frightful Dragon Aguado Molina”. (ibid.) Molina, a comical-looking short-legged violet dragon with triangular black patches of cloth sticking up along his spine, is the crime boss of Yok. Molina is facing a takeover attempt by Octopus Callemaro and his gang when the dapper plush fox appears to ask for his daughter’s claw in matrimony. The dragon doesn’t have time for a handsome but hopelessly naïve and stupid suitor. So Molina agrees to the marriage IF Antonio can prove that he is the right plushie for Beatrice. This scene comes after long flashbacks establishing how innocent Antonio is, and what a flirt Beatrice is. She previously toyed with the lovesick Stavros Panther, one of her Daddy’s gang, until Daddy caught them together and disposed of Stavros. The flashbacks add detail to Antonio and Beatrice and their associates – Antonio’s father, José Bear, his ad exec employer, Wolle Hare, and movie producer Eric Pug; and Beatrice’s Daddy’s cruel henchplushies, Luciano Hyena and Vasko Manatee – but they also slow the story to a crawl. Yok's format is unusual. On page 46 the story begins switching from the omniscient third person to the first of several individual narrations by new characters; this one by dark beige Gary Vole, who is Antonio’s opposite. Among other physical deficiencies, he lisps. Among the social opposites, he works for the octopus, not the dragon. The novel contains several surprises, not all of which work. One that does is that Molino’s expected task for Antonio against Callemaro turns out to be only his second, not the third. In fact, the whole three-tasks bit is over by page 94. The real story begins then. (Or does it?) Three new individuals tell their stories: Erik Gecko, a news writer; Mike Chimpanzee, a rock musician; and Vincent Hare, a self-styled philosopher-artist. How do their stories tie together? Ahhahhahhahhah! Yok is slow-moving, but colorful and intriguing enough that you will want to follow it through, if only to find out if there is any real resolution. It certainly has enough anthro plush animal characters. The oddest of all is Fredrik the cloud; a plush cloud with drifting facial features who wears trousers. There are also a few returning characters from the three previous novels, such as Teddy Bear and the policeman Falcon Écu. If you have read any of the previous novels of the Mollison Town quartet, judge this similarly. If you have not, start anyplace; each stands alone. These are Literature, so you may be able to get them for free from your public library. [Amberville is free on Kindle in the U.S., and can be read via Cloud Reader.] The cover is again by Jarrod Taylor, showing an admirable imagination and diversity of design in his covers for all four books. Living plush animals with a complex history and biology... there should be more of this kind of ambitious concept stuff :) - It reminds me of the kids book The Mouse and his Child (i found it to be a real bummer when I was a kid,... but memorable, I'd probably love it now.) Also apparently a valuable out of print rarity on VHS for the animated adaptation. - This one sounds like it has a pretty boring plot. The cover design is fantastic, I'd collect it for that alone. My mistake. You're paying for the cover! I've read the first two books and wanted to read the other two if only to find out if an actual overall... reason for the existence of this plushie population is explained. At the very least some points in Amberville came out suggesting certain things but with Lanceheim it seemed very much implied (at least what I got out of the book) that they were all either created by humans or the product of human imagination. 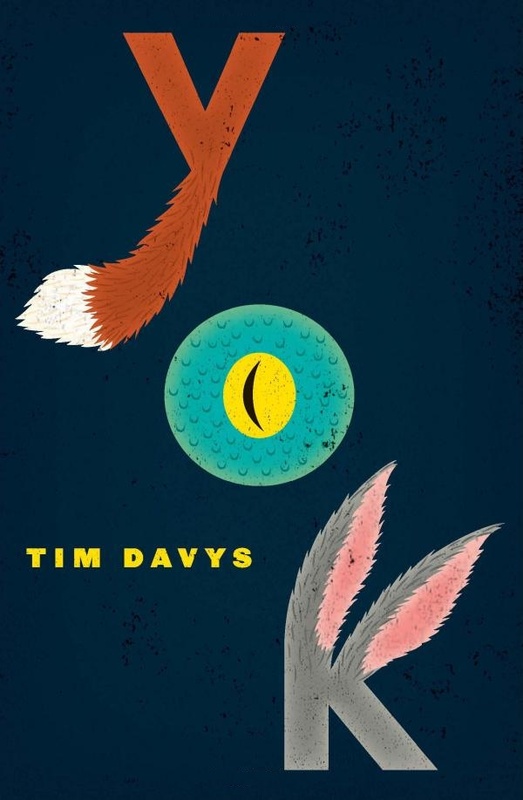 The credit to the cover design of the British edition is Renato Stanisisc. The Albert Bonniers Förlag catalogue has a picture of the cover by Patrik Lindvall (if “layout” means the cover artist) of the Swedish first edition. It is blander than either the American or British dust jackets. Just buildings and a red truck – presumably the Chauffeurs’ ominous red pickup truck, but unless you’ve already read the novel, it seems meaningless. As long as I am showing the original Swedish edition of one novel, I may as well show all four. Strangely, Albert Bonniers Förlag seems to have published only the first three novels separately. The fourth book is an omnibus collection of all four novels. - but actually I noticed the American cover I liked here was from Jarrod Taylor. heh, yup the cover design totally matters. I was first introduced to Mollisan Town when that cover to Lanceheim caught my eye while browsing a local library for something new to read. 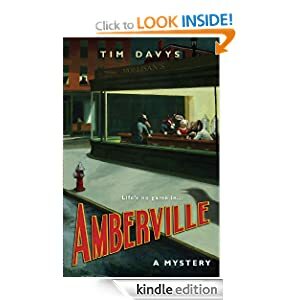 I read that book before touching Amberville (of course the description in the book implied it was its own story and did not require the first book to be read first, otherwise I would have stuck to the order of publication). So often when I'm browsing a book store, library, whatever - it is the cover that can make me pause a few seconds to read the description before deciding whether to pick it up. In some cases the cover alone caused me to acquire a book and give it a chance. I thought that we may as well present the other British dust jackets, too, but Amberville is the only one that has a different dust jacket. The others reprint the American covers. 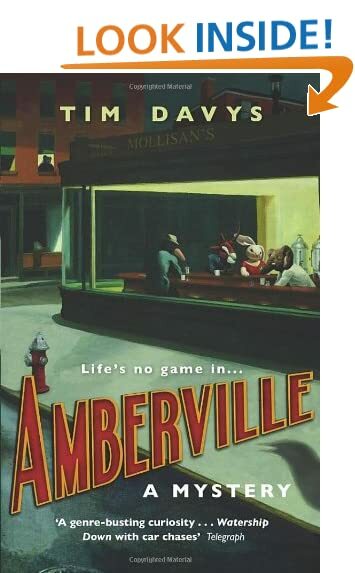 However, Amazon.co.uk is also selling the Catalan, German, and Italian editions of Amberville, the British paperback edition of Amberville, and the Polish editions of Amberville and Lanceheim, all of which have from slightly to completely different covers.